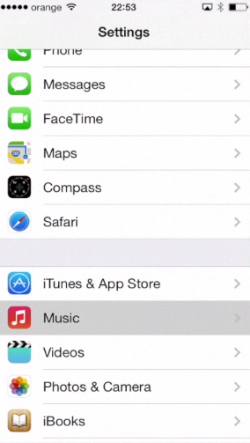 In this tutorial, you will learn how to shuffle music tracks in your mobile device running on iOS 7. We will demonstrate this on an iPhone, but it gets the same on the iPad or iPod touch. If you’re like us, you like to keep your music organized: albums, genres and even playlists. iOS 7 gives you all the tools to do that, but also the means (and the reasons) to induce a bit of randomness from time to time. Step 1. From the home screen, open the music player (in iOS 7 it features a vibrantly red icon) and choose the album or playlist you want to listen to. Step 2. 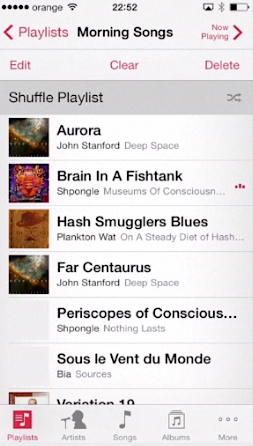 Tap the “Shuffle” entry in the upper part of the screen (in our case, “Shuffle Playlist”) and watch the random effect taking place in front of your eyes. Step 4. If you thought this was fun, wait until the next part. 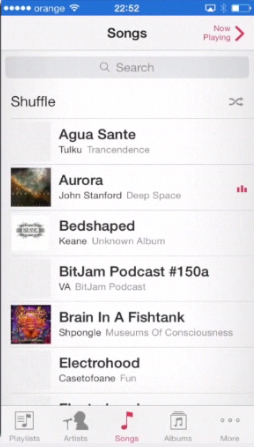 iOS 7 has a cool shuffling feature called “Shake”. 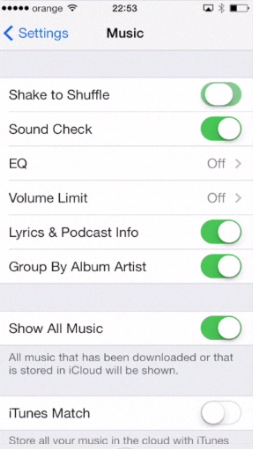 From the home screen, go to “Settings” and then navigate to the “Music” section. Enter it. Step 5. Here it is: “Shake to Shuffle”. Turn this on for added fun. Now go back to your player and watch the effect – play some music for start. Step 6. Don’t like the track? No problem, just shake your iPhone with vigor and it will skip to the next one. This is a great feature for people on the move, as it helps to communicate with your intelligent device in a very simple and gestural way. Step 7. 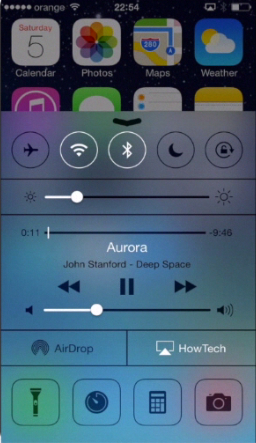 One final note, in iOS 7 you can access your music player by swiping up to invoke the Control Center. It will not give you the option to shuffle – you still have to rattle your phone – but at least you know what you have to shuffle to. Result: Congratulations, you have just added more excitement to your music library.